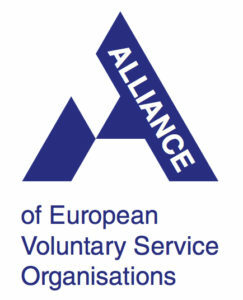 The Alliance of European Voluntary Service Organizations is an International Non-Governmental Youth Organization that represents national organizations which promote intercultural education, understanding and peace through voluntary service. The Alliance, founded in 1982, is presently made up of full, associate and candidate members in about 30 countries. Each member organization runs an annual program of International Volunteer Projects in their own country and exchanges volunteers with each other to create an international group of volunteer workers on each project. SJ Vietnam is going to become “partner” of Alliance. SJ Vietnam has been a full of member of CCIVS since 2005 and participates regularly in CCIVS meetings and activities. The Network for Voluntary Development in Asia (NVDA) is an international networking NGO which promotes international voluntary service (especially international workcamps) in Asia/Pacific. It was started in 1997 and now consists of 21 national NGOs in 15 countries/areas and one international NGO that has branches in 13 other countries.